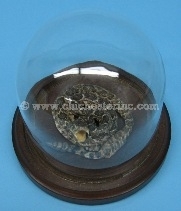 Left: X-small Rattlesnake in Dome. 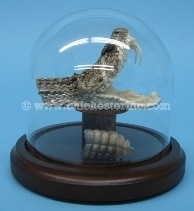 Right: Head and Rattle in Dome. 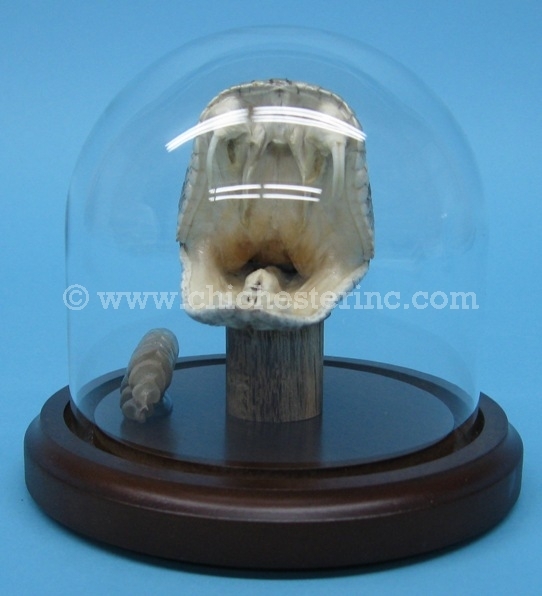 These are real mounted Texas Western or Eastern diamondback rattlesnakes and rattlesnake parts. They are encased in a plastic dome. 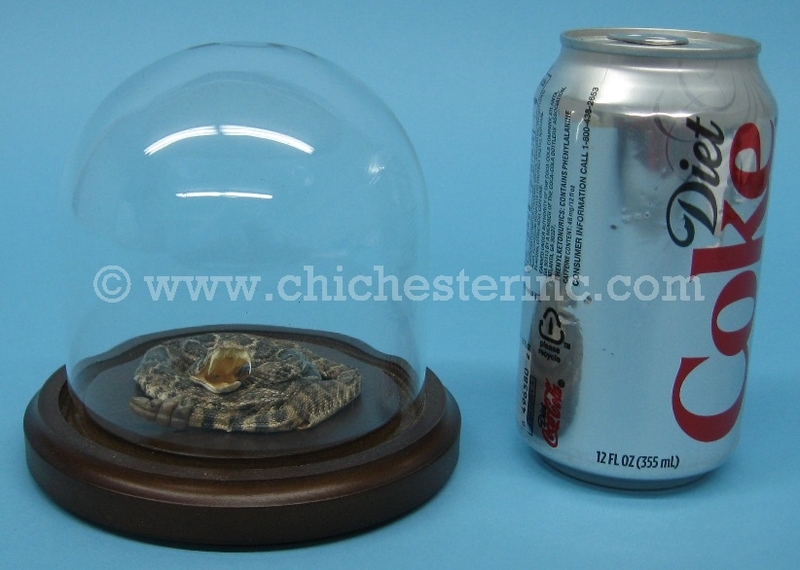 The domes are 5" in diameter. 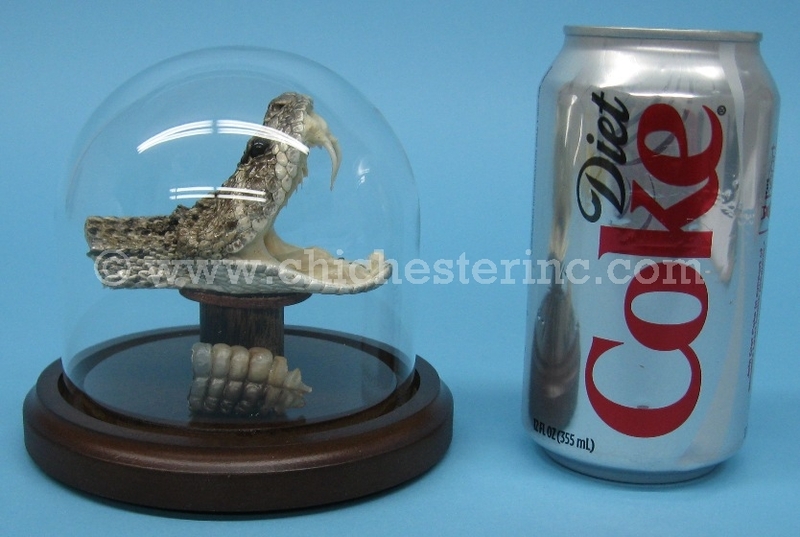 The X-Small Mounted Rattlesnake weighs 8.2 oz. 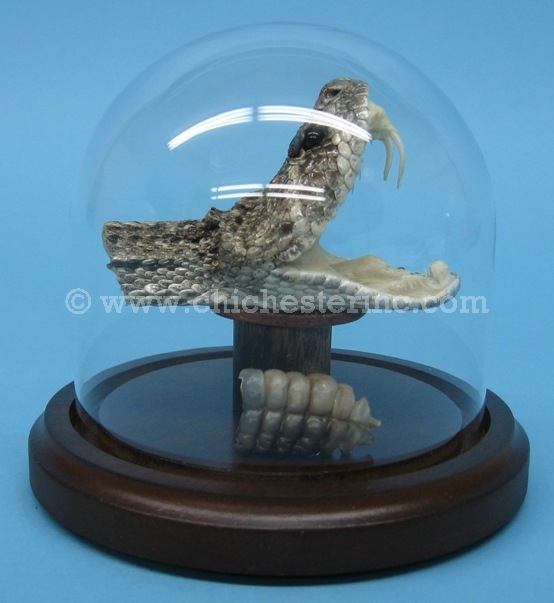 and the Mounted Rattlesnake Head and Rattle weighs 9 oz. 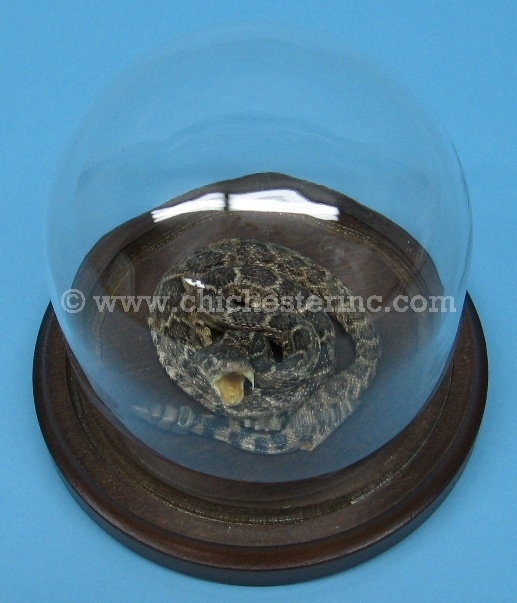 Genus and species: Crotalus atrox. Wild. Texas Western diamondback rattlesnakes. 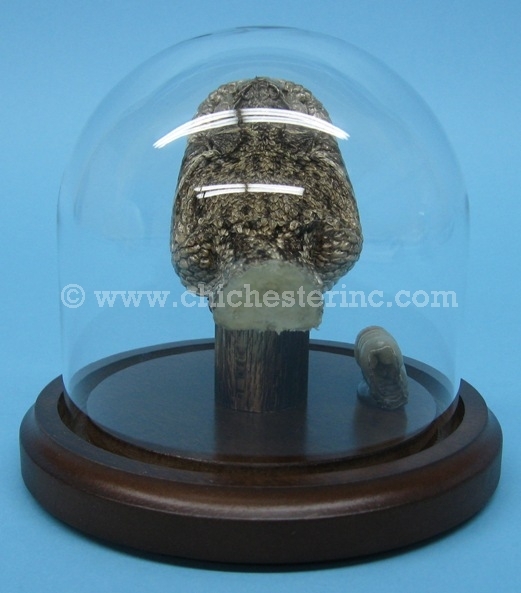 Genus and species: Crotalus adamanteus. Wild. Eastern diamondback rattlesnakes. 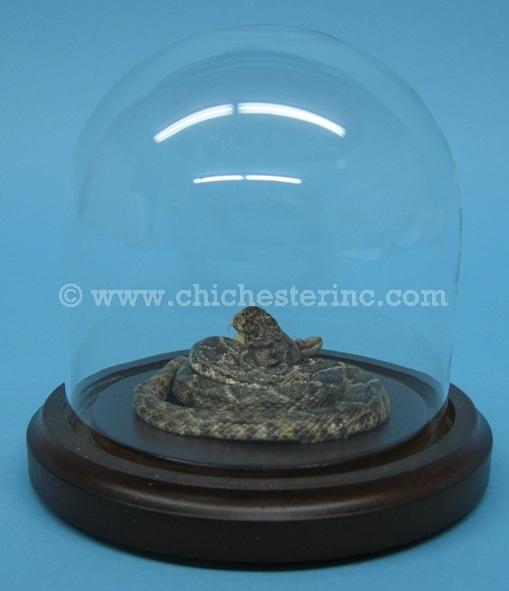 Texas Western and Eastern diamondback rattlesnakes are not endangered and are not subject to CITES controls. Not for export outside of the United States.